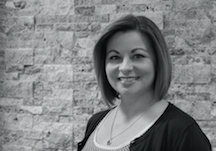 With more than 15 years of public relations, marketing communications, account management, and event planning experience, Rachael works with clients to achieve their engagement goals–raising awareness and influencing change. Throughout her career, Rachael has held positions supporting tech companies, including Intel, Microsoft, CA Technologies, NetApp, and more. She has also collaborated with commercial product and service companies as well as non-profit organizations for launch and capital funding campaigns. Rachael holds a B.A. in Communications from Louisiana State University–Shreveport and has studied Conflict Resolution and Negotiation at Portland State University. She currently resides in the Chicago area and enjoys spending time with her husband and daughter, attending concerts, reading, and writing. Connect with Rachael on LinkedIn.